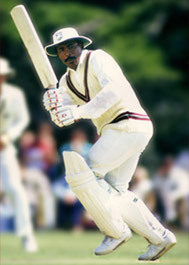 The years I spent playing for Hampshire were a great period in my life and one that established me on the world stage and was to prepare me for the wonderful times I spent representing the West Indies as their opening batsmen alongside Desmond Haynes. I began at Hampshire, as an apprentice at the age of 17, and I found it quite difficult for the first couple of seasons to adjust to the expectations of the club whilst living at the YMCA in Southampton, which included amongst many things, having to stay during the winter months when everyone else went back to their families. They were testing times for me in many ways but as time progressed I found my feet and began to establish myself regularly in the first team playing opposite Barry Richards. Hampshire was my training ground and my finishing school. 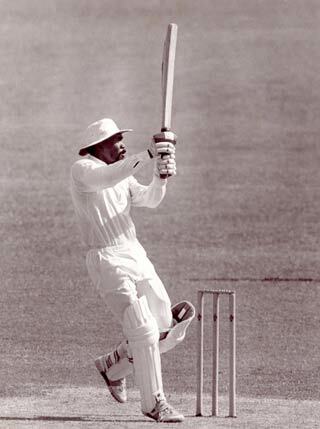 I went from a naive teenager to an accomplished cricketer during those many years representing the County, winning the County Championship in 1973 and being called up for the West Indies in 1974 against India. There were not many people who believed that Hampshire could win the county championship at the start of the 1973 season, we had a much weaker side than we had had in 1972, with John Holder and Roy Marshall retiring from the game . I was determined to make that year count for something personally and so it proved to be. It was deemed by others that we had a side that was better suited to limited overs cricket, while others thought we had a weak bowling attack, however we knew differently. Peter White, our new scorer, placed a bet at 66-1 on us winning the championship for the first time since 1961. Some say it was more out of loyalty than good judgment. Peter White collected his winnings after we had won half and had drawn the other half of our 20 matches to clinch the title with a game to spare. All our batsmen lived up to their reputations with Barry and I notching more than 1,000 runs each with David Turner & Trevor Jesty each putting in a championship performance. But it was our bowlers who surprised everybody - Bob Herman, Tom Mottram and Mike Taylor took more than 50 wickets each and spinners Peter Sainsbury and New Zealander David O'Sullivan chipped in with 40-odd wickets apiece. Unexpected? Not when you have a little self-belief.